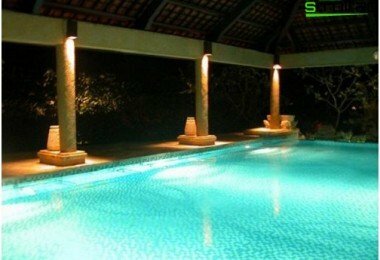 Before every pool owner sooner or laterIt raises an important question related to the quality content of water, which largely depends on the correct choice of filter. There are many companies ready to implement this task, but you have to be prepared for the fact that it will cost quite a substantial amount. Where looks promising opportunity to produce filter for the pool with their hands. However, to do so as to be not more than you can better deal with all existing contaminants and classify them. 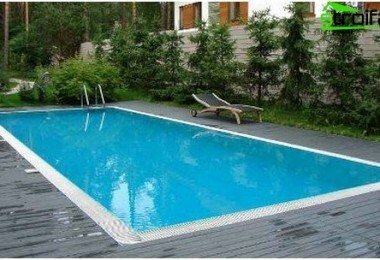 The main problem of any open poolis surface contamination, which is caused by a fall on the water surface dust, pollen, bird droppings, grass, leaves, etc. Most of these contaminants removed by mechanical means using a net, but also can solve the problem and the device in the pool Hopper overflow. How would promptly or scavenge, but still part of it must be dissolved and remain in the water column, which itself contains many microorganisms and algae. And if we add here in sufficient numberslight and heat, without the adoption of more radical measures necessarily blossom water. With the depletion in the water of mineral substances for the development of algae, reducing the amount of light and the temperature drops, the algae die and sink to the bottom as pollution. In addition, the formation of impurities contributes to the bottom and undissolved debris, in the case when it is heavier than water. To fight each of the contamination existtheir cleaning methods. With the help of chemicals alone not solve the problem, and if we manage to cope with the blooming, the dirt can be overcome only mechanically. With the pool surface contaminants are removedoverflow or net, from the bottom - a special steam "cleaner", but the water column can be cleaned only by filtering the water. This will require to arrange a withdrawal in one place pool, from which will be pumped via pump water passed through the filter elements and then return to the pool. 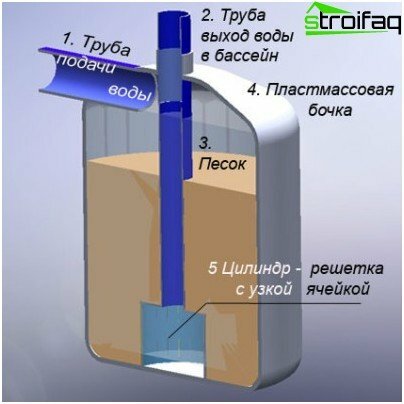 In the basins of the three types of filters are used - sand, earth and cartridge. The least effective, but at the same time the most popular due to lower cost are sand filters. They are large tanks filledSpecial sand for swimming pools, through which the filtered water. Delayed dirt accumulates on the edges of the sand filter. It is able to retain particles of about 20 microns in size and retain most of the pool in relative purity. 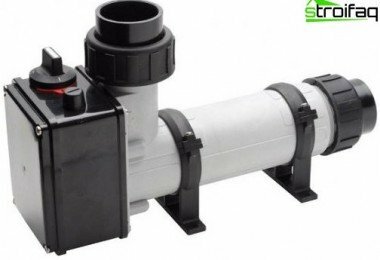 The major disadvantage of the sand filter is its rapid clogging, whereby necessary to clean weekly using a back flow, resulting in a significant increase in water consumption. Cartridge filter is a capacitancewhich are located 3-4 cylindrical cartridge. Material visually resembling polyester retains particles size to 5-10 microns. In servicing the filter is quite simple - the cartridges can be removed and cleaned with water under pressure or clean using a special cleaning solution. Finally, the cartridge can be simply replaced. The most expensive, and therefore the mostreliable, it is considered diatomaceous earth filter, which consists of hundreds of millions of particles of fossil plankton. Filter apparatus for such pools catches fine particles of the smallest size in the 3-4 micron and holds them. Most such filters requires cleaning the reverse flow of water, however this procedure may not be sufficient. 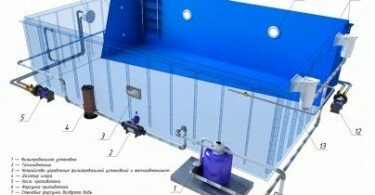 In this case it is necessary to replace diatomaceous mixture, but it can be problematic, since the composition of the waste belongs to the category of "hazardous waste" and require special disposal. To answer the question how to make the filterthe pool itself - quite simply, if you look at the primitive filtration unit costing up to $ 120, which consists of a cartridge and pump. In order to ensure quality pool cleaning important place as far as possible from each otherwater intake and discharge locations. In this case, the installation is supposed to be buoyant, and this requirement is not relevant, since the filter will be constantly on the move. Typically, the diameter of a simple removable cartridgeIt is 50 mm, so we need the cartridge itself and 2-3 meters polypropylene pipes of the same diameter. Pipe length depends on the capacity of the pump, which is selected in accordance with the volume of the pool. Another required angular "rotation" of the same material and diameter 50 mm piece of M12 threaded studs. In the case of longer studs can be simultaneously apply multiple cartridges, which significantly improve the quality of treatment, however, it will require a much more powerful pump. The plug and turn need to drill a hole into which a pin skip and lock nut design. The other side of the pipe should be connectedpump, the capacity of which is determined by the need for filtering. For pools of 250-300 cubic meters is enough capacity in the pump 25-30 W, the performance of which is about 2,500 liters per hour. To construct was kept in the water, the tube ends must close tightly, which is ideal polystyrene. Suction water pump takes place at a depth of 50-60 cm, then there is pumped through the tube and getting into the cartridge. Purified water is immediately returned to the pool. 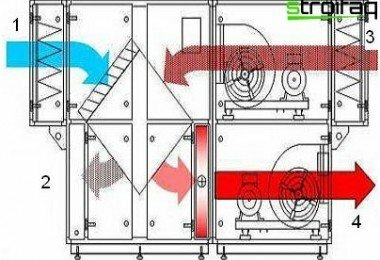 This design is attractive by the fact that in order to connect to the issues and does not require any water intake pipes and hoses. Although not very high performance,homemade filter for the pool improves water quality. Since only one set of filter cartridge, it takes its regular cleaning at least once a day. Make it quite easy - just remove the pipe rotation and remove the filter cartridge. In order to accumulated debris and dirty water again did not get into the pool before removing the need to "make" under the filter plastic container, which you can use an ordinary bucket. After removing the cartridge filter, simply rinse it under the tap running and set in place. This service mission can be considered done - the whole process will not take more than two or three minutes. It is clear that the usual plastic pipe,floating on the surface of your pool is quite unpresentable form. 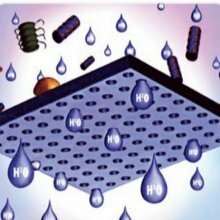 If you are satisfied with the performance of the filter made by you, then you can think about the aesthetics and design of the filtration system to mask under a sheet of water lilies, floating island, or to give it the shape of a canoe. It is already possible to show all their imagination and ingenuity. If one looks at the cost of manufacturedinstallation, it becomes clear that its price is several times less than a similar design proposed. 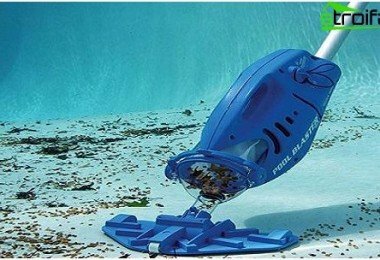 Details for its production can be purchased at any hardware store and pump the necessary power - at a pet store specializing in Aquarium Equipment. 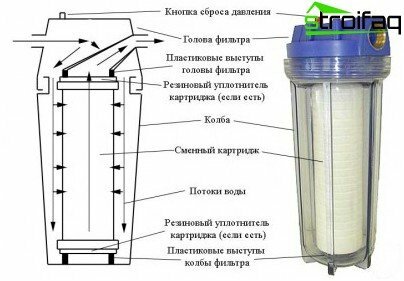 Filter cartridges can be bought in the supermarket or make your own from a nonwoven fabric or foam. When all the materials at hand, to assemble the structure and start the operation even in the absence of the necessary skills is possible within one hour. Despite the fact that the sand filter is cheap, yet its production is more labor intensive - requiring special instruments and materials. Of course, a good sand filter can be madeand myself, but it is unlikely in this case will be able to achieve the desired economic effect. Even if the ultimate cost of a homemade filter will be slightly below the finished structure, yet for its production will have to spend a lot of effort. When using metal structures require welding machine and skills to work with him and to work with polypropylene and plastic - special equipment or set of fittings. Yet presented a floating structure, though it seems a bit rustic, but makes it possible to achieve the desired result in the form of clean water in the pool.